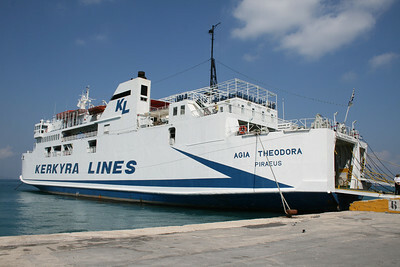 F/B AGIA THEODORA moored in Corfu. 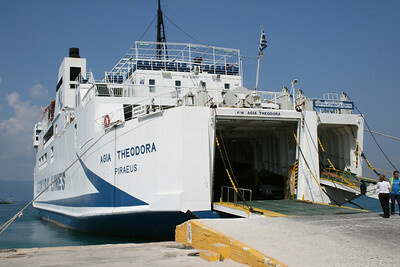 F/B AGIA THEODORA moored in Corfu. 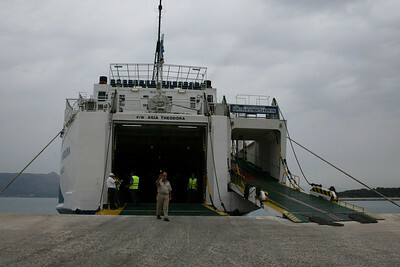 Embarking to Igoumenitsa. 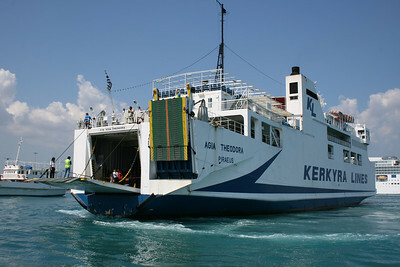 F/B AGIA THEODORA arriving to Corfu. 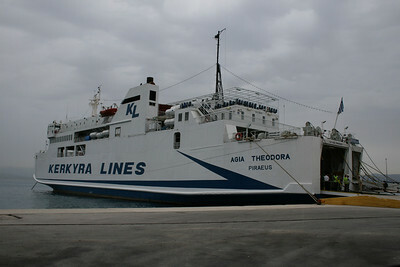 F/B AGIA THEODORA moored in Corfu. 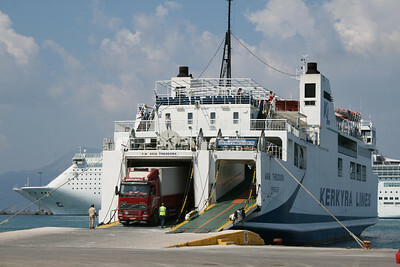 Disembarking trucks. 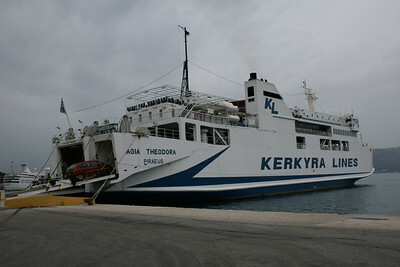 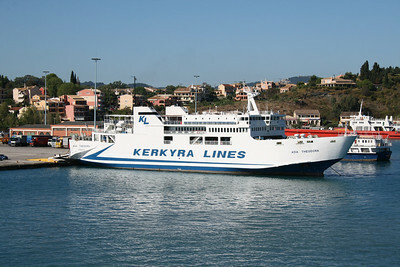 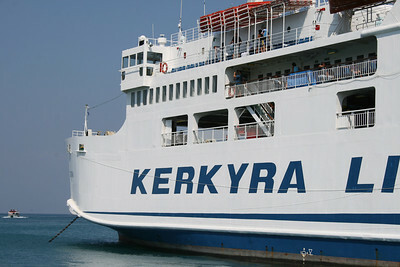 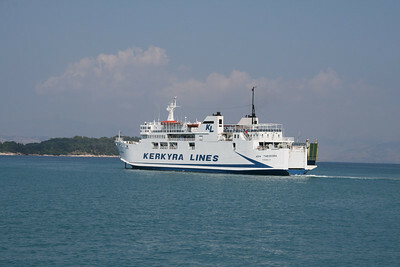 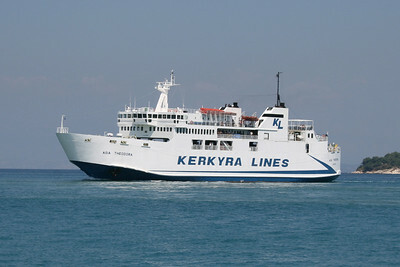 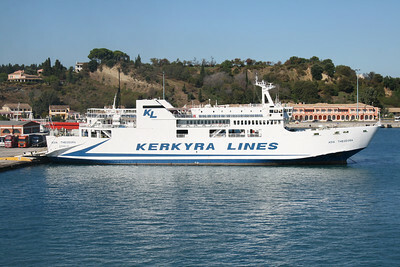 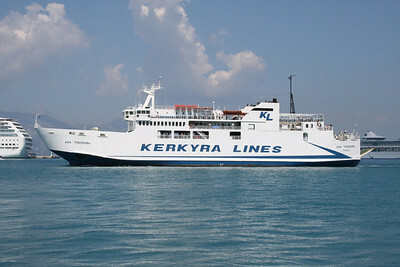 F/B AGIA THEODORA : Kerkyra Lines logo on funnel. 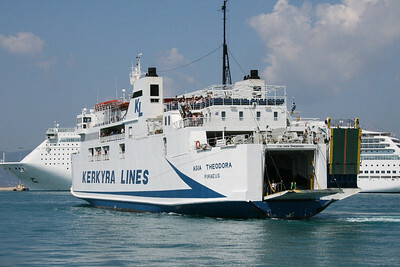 F/B AGIA THEODORA arriving to Corfu. 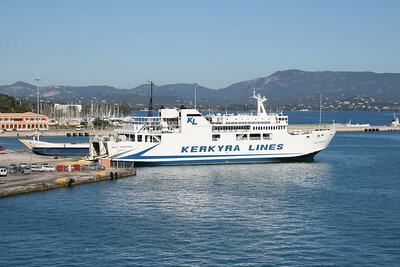 Approaching astern. 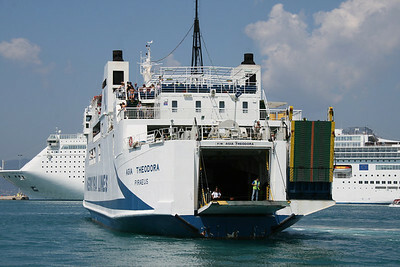 F/B AGIA THEODORA arriving to Corfu. 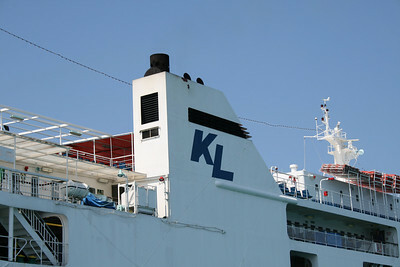 Maneuvering.